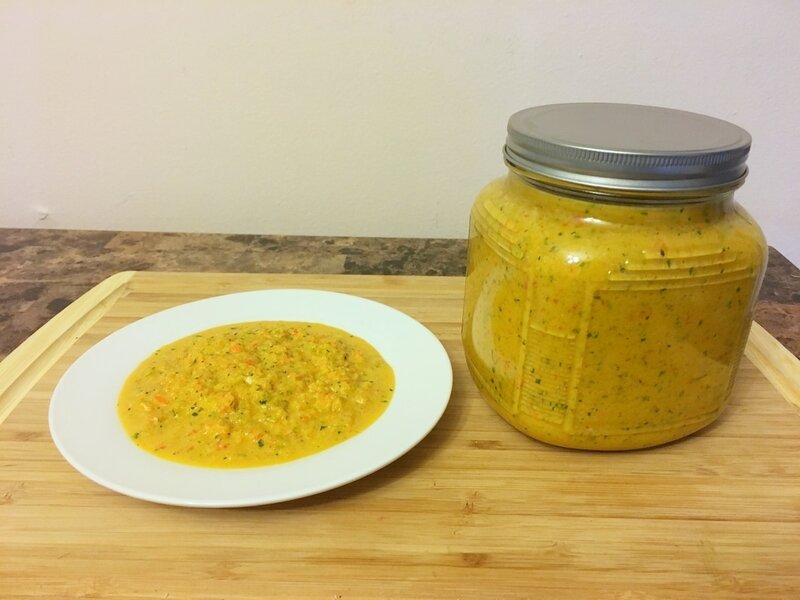 ​Similar to my original Epis recipe, this version is my aunt’s formulation which is in a league of its own. I have had several people ask for her version and I am happy that I can finally share it with you. When it comes to any recipe that calls for epis, either version can be used. Just be mindful of the color differences and the unique spices my aunt includes in hers (turmeric and ginger). If I’m making a particular dish where I don’t want too much of the “green” coming through in terms of color, I would use my aunt’s version. I also like to use her version in particular dishes like curry chicken or Chinese-influenced dishes. The turmeric and ginger complements those very well. 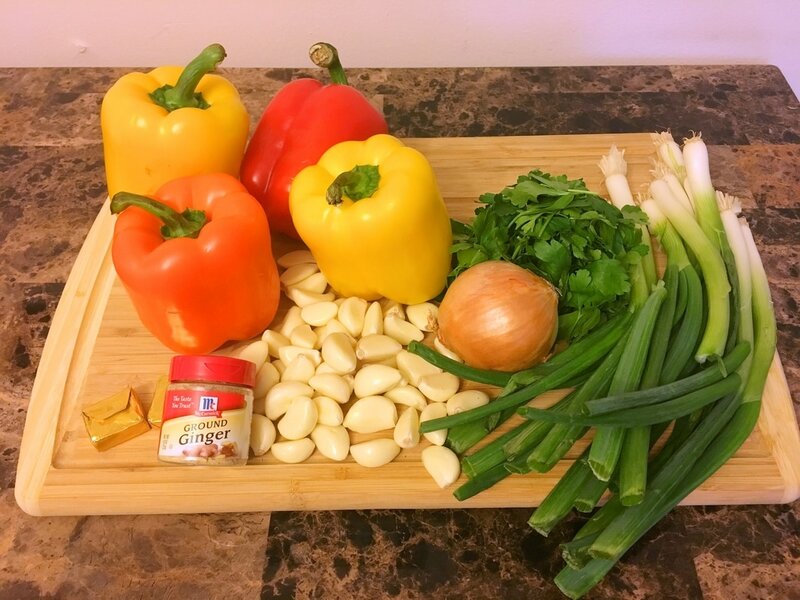 ​Time and time again, I stress how epis can be made your very own with whatever herbs and spices you chose to include. You just have to remember that the most important components include scallions, garlic, parsley and peppers. Then everything else is pretty much what you want it to be. Sometimes, people like to include lemon or lime juice in their epis. 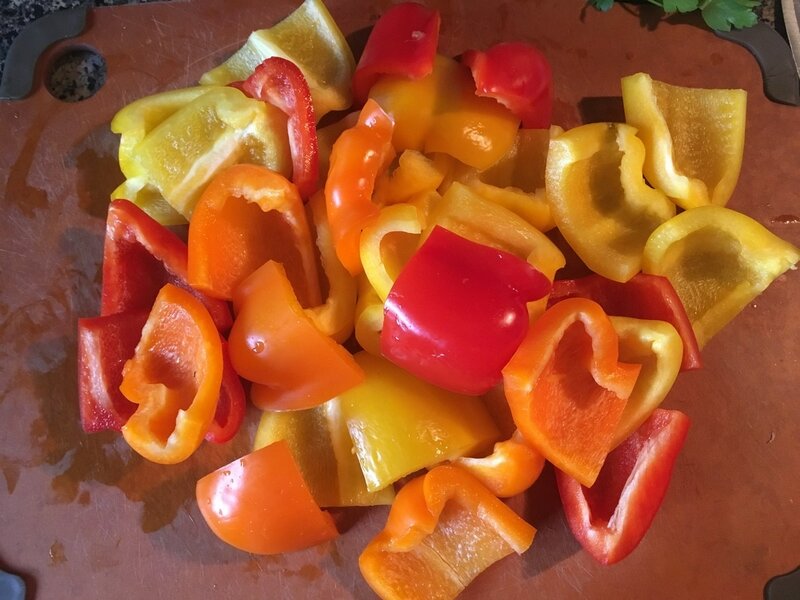 Those that have this additional ingredient are usually reserved specifically for meats and poultry, especially as a marinade. Others like to include tomatoes however I find that it decreases the epis’ shelf life due to the water content of the tomatoes. That’s unless you keep it frozen. Which reminds me, avoid using water when making your epis. Even after washing the herbs, try to remove as much excess water as possible. 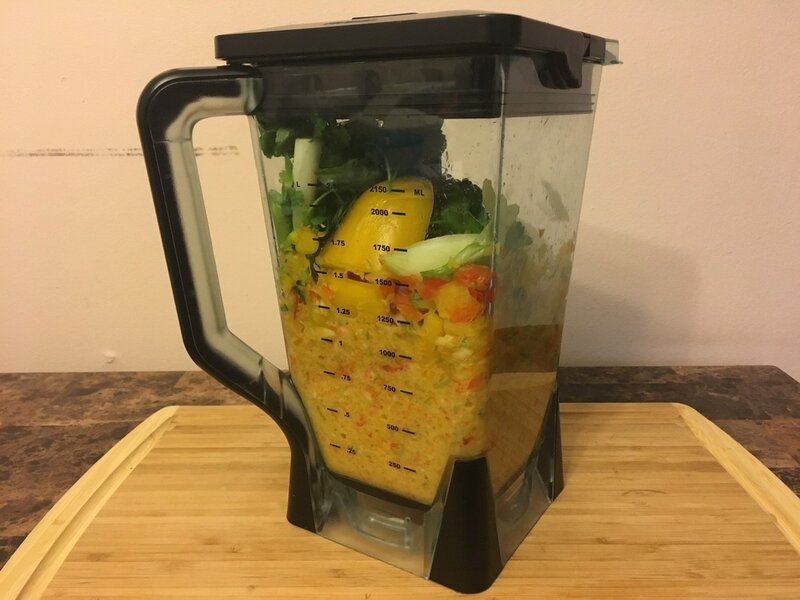 You never want to use water to help blend the ingredients together. That is what the oil is for. You will also find that if you chose to freeze the epis in a single container, the oil helps to scoop out the contents much easier when needed. It won’t be a hard, single frozen solid mass. I had my aunt instruct me on this version of epis and once I tasted it, I was surprised at how good it tasted, even alone! I wouldn’t recommend eating this alone but it does help to taste it as you make it until it reaches your desired flavor. 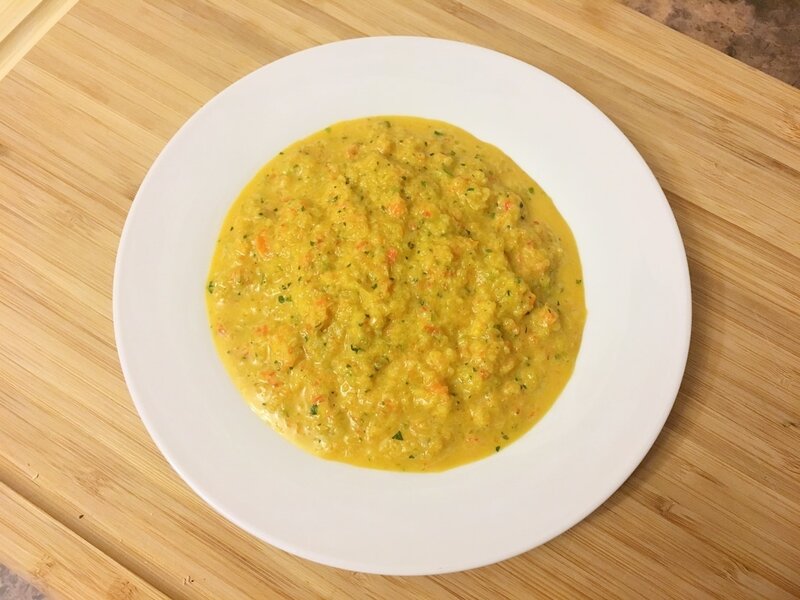 I have a Coconut Pigeon Pea Rice recipe that I make once in a while and decided to use this version of epis. I must say that it kicked it up several notches and it was delicious! That's a recipe I plan to share with you all soon and once it’s available, you’ll find the link here. 1. As with my original epis, scallions are an important part of the recipe. However, my aunt has a slight variation when it comes to the scallions. Instead of using the entire stalk, she only uses part of it. 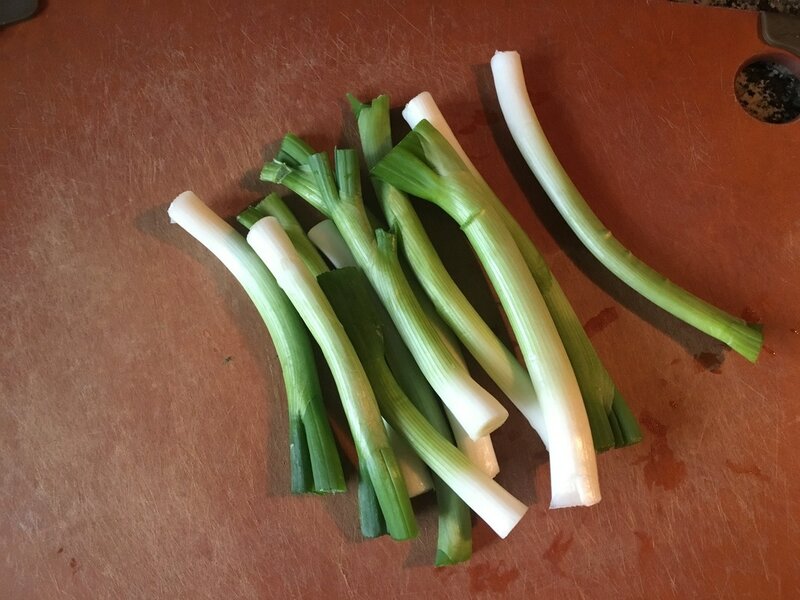 After washing the scallions, cut off the root ends and discard. 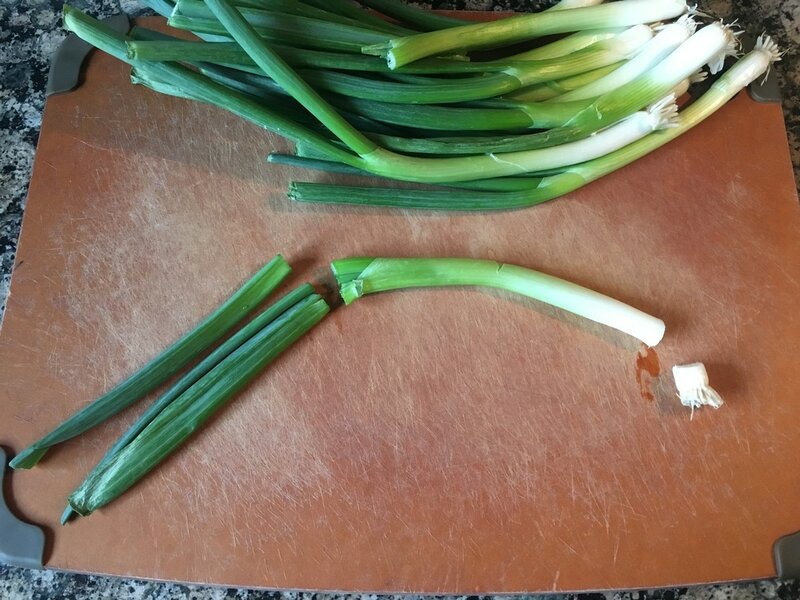 Then, cut the scallions at its bifurcation where the dark green parts start to sprout. This is what makes the epis very green in my version. My aunt likes to remove these portions. However, do not discard them! You can always use them in other recipes or freeze them to use later, such as in soups and whatnot. 2. 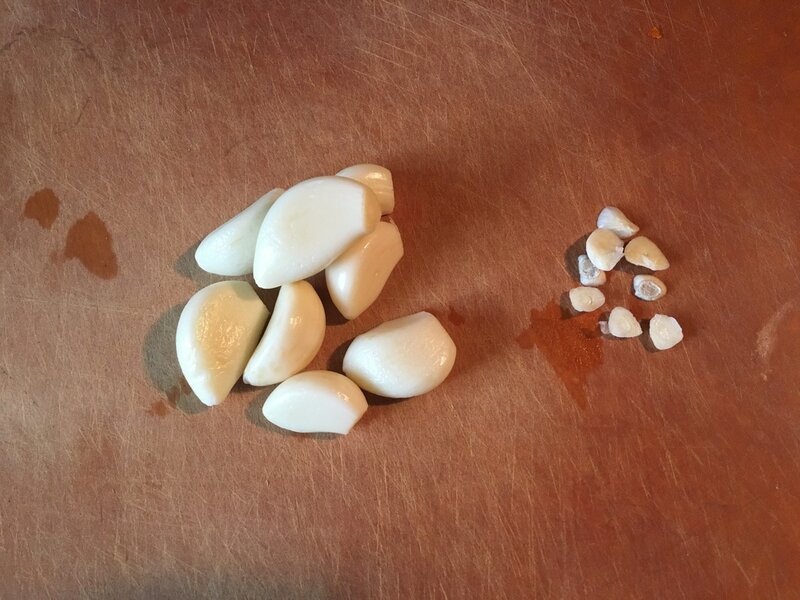 Peel and cut off the ends of several garlic cloves. Discard the skin and end portions. 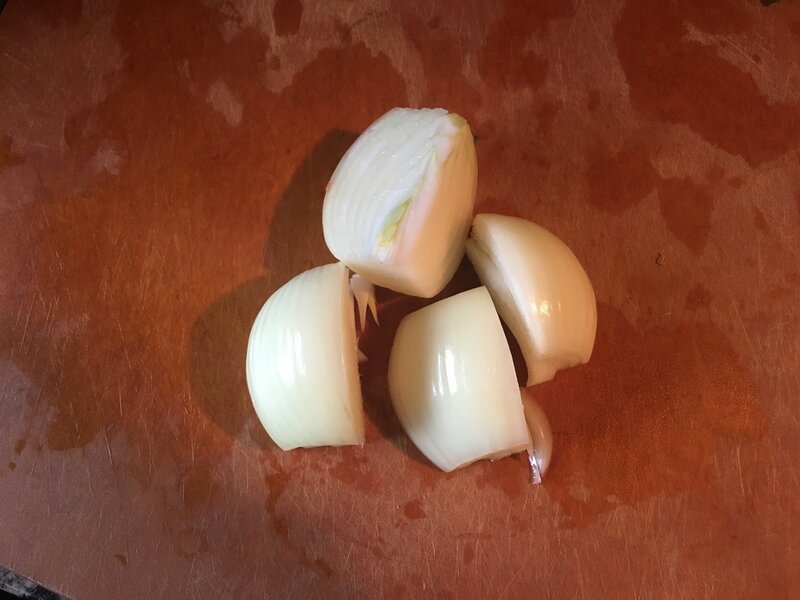 In addition to scallions, garlic is the star and major component of any epis recipe. You will need at least 1 cup of garlic cloves. 3. 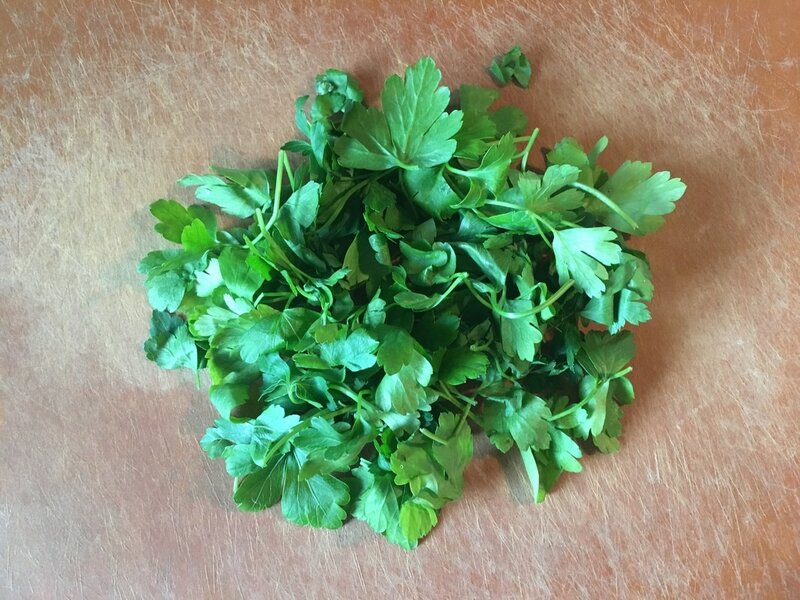 Wash and remove the thick stems of either curly or flat leaf parsley. You will need about ¼ packed cup. 4. 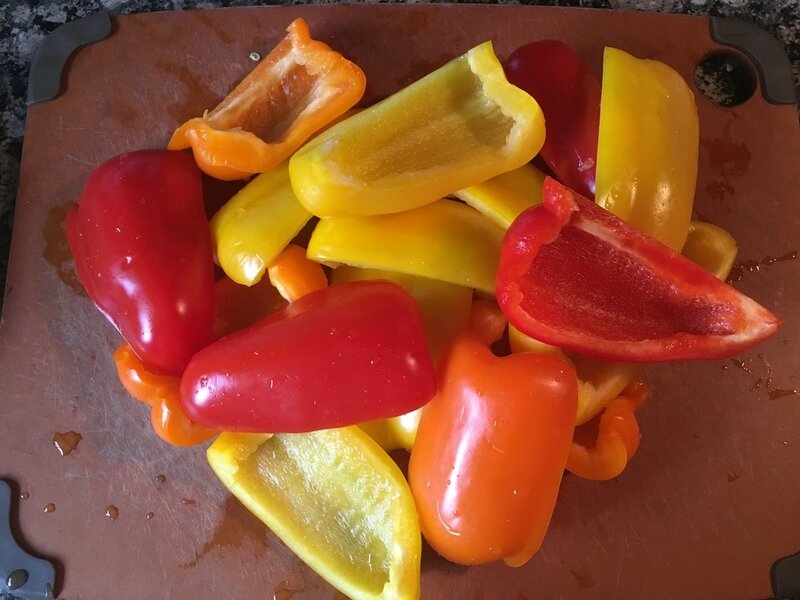 Wash, and cut about 4 large bell peppers. The colors can be any of your choosing between a combination of green, yellow, orange, or red. I omitted green in this particular recipe but you can still definitely use it! It won't change the color drastically. My aunt uses green peppers in the one she usually makes. Just not too many of them. ​5. Peel and quarter 1 medium onion. 6. 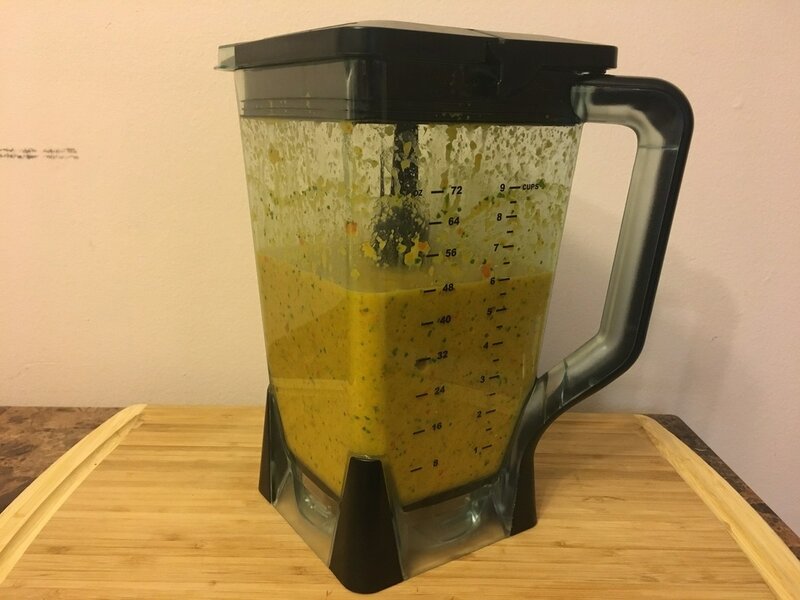 In a large blender, pour in ½ cup of vegetable oil. You can also use olive oil if you prefer. 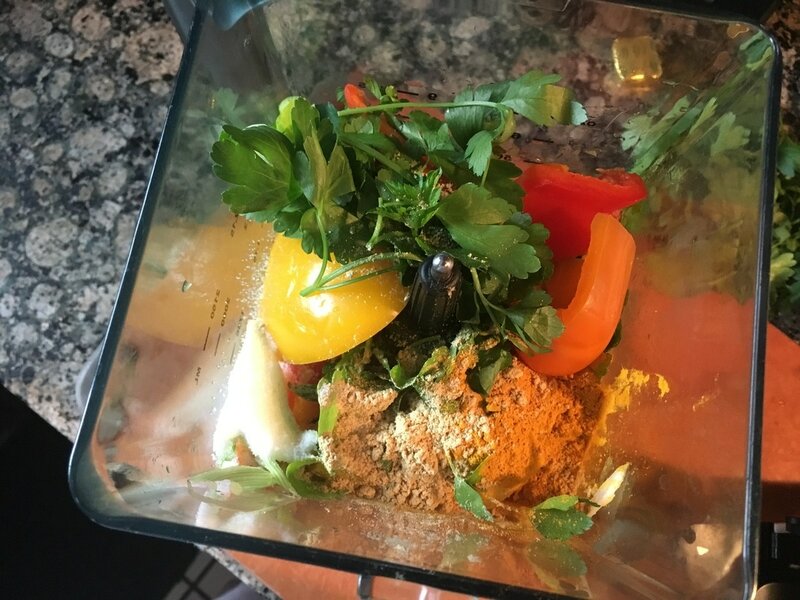 Afterwards, start to add in all of the prepared ingredients that can fit into your blender. You may have to pulse it a few times in order to get more things to fit. ​8. 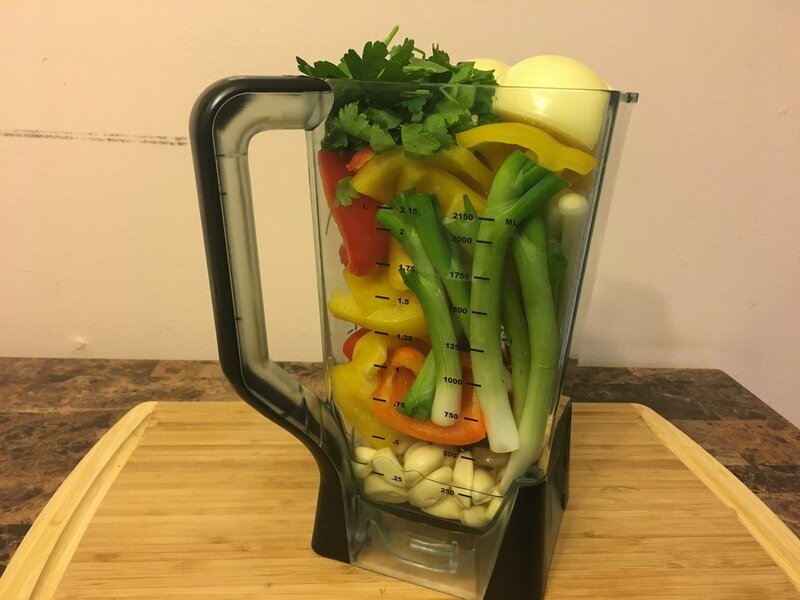 Blend all ingredients until smooth. Store in a container and keep refrigerated. You can also store it in the freezer. Some people freeze them in ice cube trays and use the cubes as needed when a desired recipe calls for it. What are your thoughts on this version of epis? How do you make yours?